This post is sponsored by PL360. We received free products and compensation to help spread the word about PL360, but Pawsitively Pets only shares information we feel is relevant to our readers. All opinions expressed here are our own. PL360 is not responsible for the content of this article. When possible, I like to use natural cleaning products for my pets. I feel like they are safer and less harmful to their health. Using natural products around my pet rat babies is especially important to me. They are very sensitive little animals and don't do well with harsh chemicals. I like using natural and safe cleaning products for their cage. That's why today, I want to introduce you to a line of household cleaning, grooming, and health products for your pets called PL360. I was first introduced to to this company and their products almost a year ago. Since then, I have tried several of their products and have fallen in love with everything I've tried so far! Formerly known as Pawganics, the company merged with their sister brand, Pet Labs 360, to create PL360. Since rebranding, they've worked hard to improve their current products and come up with some new ones. 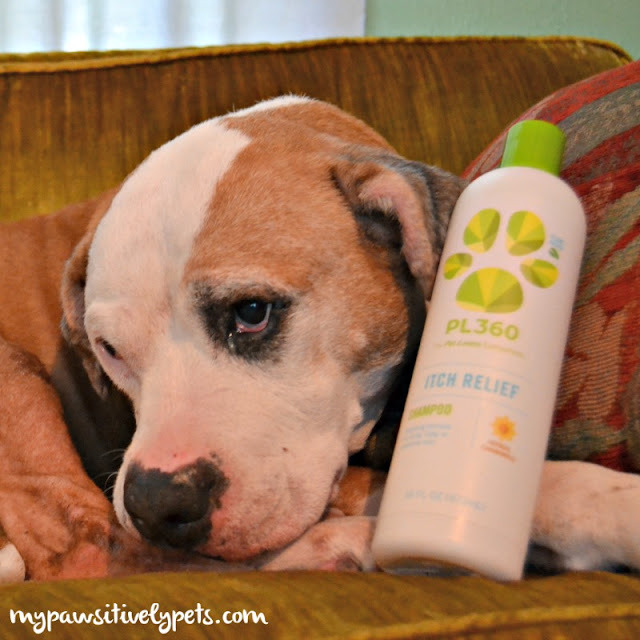 I've used several of the former Pawganics products before and was excited to try to the new ones from PL360. PL360's philosophy is to make life simpler for pet parents. 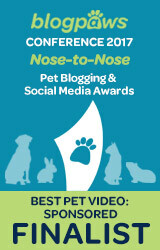 PL360 has been around for 14 years working to find innovative ways to make pet care easier. They are devoted to making pet care products that keep your pets healthy, happy, and clean in the simplest way possible with natural ingredients that are safe for pets. PL360 uses plant-based ingredients in their cleaning and grooming products to achieve this. 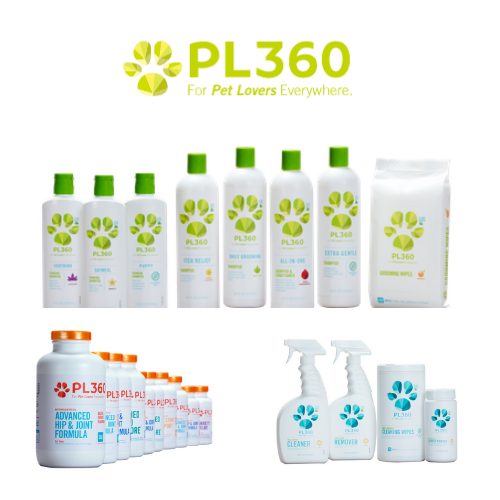 PL360 offers cleaning products for your home, grooming products, and health products for pets. I have only tried the cleaning and grooming products so far. In fact, I've tried ALL of the cleaning products. They work fabulously and I would recommend them to others. As for grooming, I have used some of the PL360 shampoos and the Mandarin Scented Grooming Wipes on both my dog, Shiner, and my pet rats. Here's a look at some of the new PL360 products for pets. This shampoo did bring relief to her skin when I used it on a regular basis. Meaning at least weekly with her itchiness, anyways. Because the Itch Relief Shampoo uses plant-based ingredients and contains no parabens, phthalates, toxins, lanolin, soap, or alcohol, I feel like it is gentle enough for her to use every few days. Jack and Gus also had a nice bath with this shampoo the other night. I don't bathe them often, because they don't really need it but they were having soft stools and got a little stinky. So, they needed it! I feel safe using it on them and now they smell fresh and clean. I love these wipes! I use them for everything - cleaning grease off the stove, wiping off my kitchen counter tops and the table, and spot cleaning my rats' cage. The Multi Surface Cleaning Wipes also work well on cat and dog toys, water dishes, food bowls, stainless steel, tiles, walls, and cabinets. These wipes keep my cage nice and clean! These wipes contain NO ammonia, bleach, phthalates, or sulfates. A few years ago, I bought a carpet freshening powder from the store. My boyfriend complained that it smelled too strong and how much he hated that stuff. So, I never used another carpet powder since. I decided to give it another shot with PL360's Odor Neutralizing Carpet Powder though. My carpets are always a mess with my pets and kids around. They needed some freshening up. I sprinkled the powder on the carpet, let it sit for a little while, and then vacuumed it up as per the directions on the bottle. The scent was nice (citrus) and it wasn't overpowering. And what did my boyfriend say? Well, he didn't complain this time. I don't think he even realized I had used a carpet powder actually. I'll be using this product again. 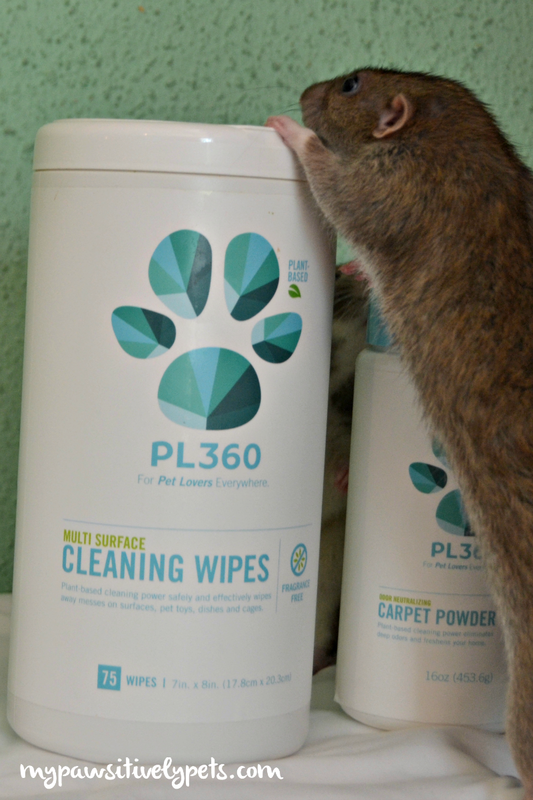 You can find PL360 products for purchase at your local independent pet retail stores. PL360 products are also available online at Wag.com, HealthyPets.com, and Amazon. 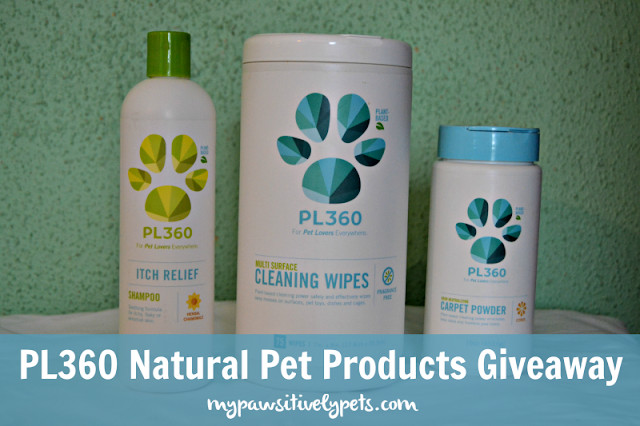 Try Natural and Safe Pet Products From PL360 in YOUR Home! Want to try these PL360 products in your home? PL360 is offering a giveaway to 3 of our US readers! This giveaway is open to US residents, ages 18+only. THREE people will win the same three products featured in this review. To enter, just fill out the Rafflecopter form below with as many entry options as you like. This giveaway ends June 6th at midnight CST. Good luck! Aw what a fantastic giveaway! Good luck to all my U.S pals!!! I love them all - please please please, I need to win LOL Great review girlfriend. Shiner looks marvelous by the way! Those look cool. We love natural products here. I also prefer natural cleaning products. I would love to enter the giveaway, but I don't live in the US. These look like some great products. Poor Shiner just doesn't look happy. :( I guess I came too early to enter the giveaway. Will have to remember to stop back. Thanks! Sorry Bren! My mistake - had the wrong day scheduled on Rafflecopter. Should work now though. No prob Ann, thank you! 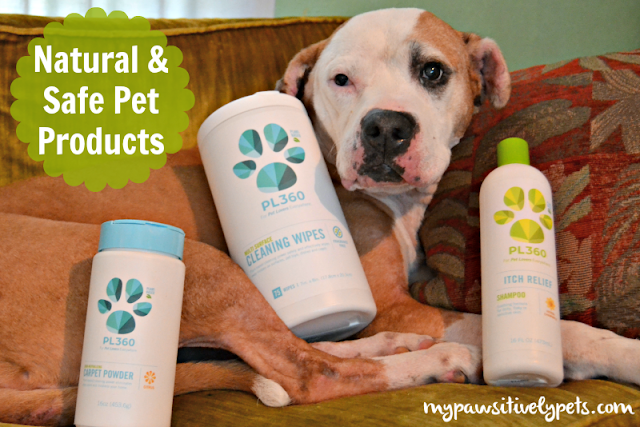 I've become more aware of just what is in the products I use for my pets - from food to cleaning products. I've been working on switching to healthier and more "green" products. 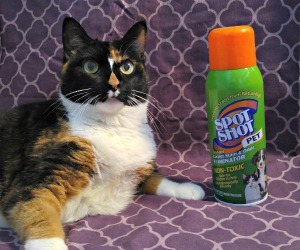 I have a rottie mix, a doxie and four cats so I would definitely have a use for these products! We are looking for healthier brands to use on our German Shepherd, Ryka. 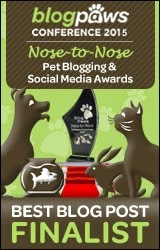 They are here at BlogPaws and we have some of their products to review when we get home. Can't wait to try them out! I know! Lucky you got to meet them. :) I'm sure you'll like their stuff. I am always looking for new pet safe products and shampoos for itchy skin for my jack russell and these look great. With 3 dogs and a cat I am always looking for natural pet products and it seems I've found just the thing! I have a dog with skin allergies so I'd love to try the PL360 Itch Relief Shampoo on her. I always look for natural products for the dogs and avoid products with harsh chemicals. 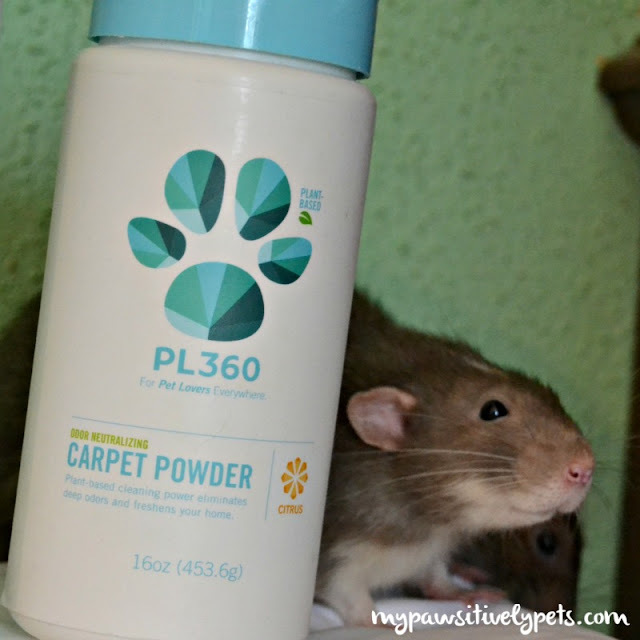 I haven't found a carpet powder I feel safe using so I am really interested in trying the PL360 Odor Neutralizing Carpet Powder as well. We also like to use natural and pet-safe cleaning products. We could definitely use that carpet powder! I'd love to try the PL360 Odor Neutralizing Carpet Powder on my carpets. My dog, Artie loves the water and I want to make sure to take care of his coat after he swims or plays.